Brexit often feels like an internal Tory party disagreement that got a little out of hand. It is certainly going to this week, as the fallout from today’s cabinet meeting dominates the media narrative. Behind that, there is talk of what Labour MPs do now. Reject what the government puts forward – which could carry with it the risk of no deal – or accept it as the alternative to chaos? This apparent dichotomy is reportedly tearing some apart. But that is not the message I have heard coming out from most in Westminster, or the surrounding sphere of centre-left influence. As Progress chair Alison McGovern put it last night, the judgement MPs will make is: ‘Is this in the best interest of the country, and our constituents?’ The effects of the government’s proposal must still be judged against voters’ lives as they currently are. There are further problems. Tony Blair, writing in the Times this morning, says that Theresa May’s deal has ‘united “Remainers” and “Leavers” but only in opposition to it’ – adding: ‘Whatever the people voted for, they didn’t vote for this’. In the Financial Times, Peter Mandelson damns the trading implications of the deal. ‘Everyone is left dissatisfied, no one is reconciled and the argument goes on forever’, he argues. ‘The public must have the right to decide whether they want this.’ The alternative to chaos, in other words, is not this deal. Others may take their time. The centre-left in the Labour party is clear about what they will do. Voting is now open in the Progress strategy board elections. The Progress strategy board exists to guide the work of Progress, and ensure the strategic aims of the organisation. Click here to see your candidates. Want to get the progressive line on tonight’s Brexit developments first thing tomorrow morning? 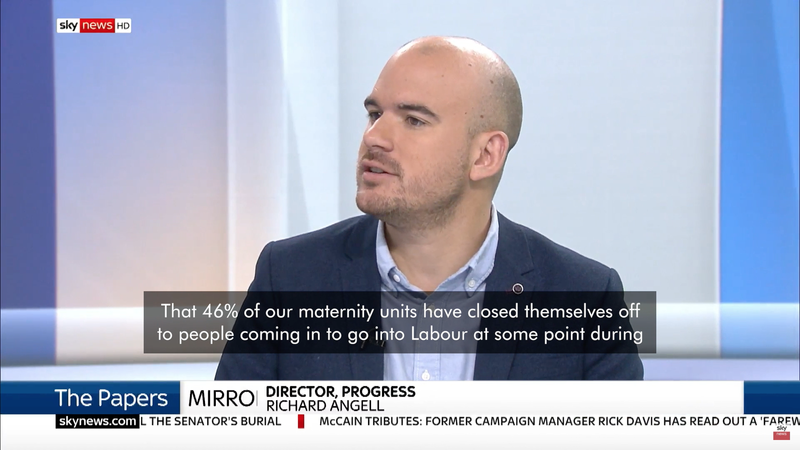 Our director Richard Angell will be reviewing the papers on Sky News from 6.30am – dissecting all that has happened at today’s cabinet meeting, what happens next, and how Labour should respond. With hot-takes still coming fresh off the Twittersphere and votes still to be counted in many states, Matthew Doyle – previously special advisor to Tony Blair – comes on the pod to speak to Conor Pope and Alison McGovern about his key takeaways from last week’s midterm elections. Also on the show, Alison discusses the refugee crisis following her trip to Lebanon, where over a million displaced Syrians now live. Why is Labour not leading the call for a second vote? Theresa May’s draft Brexit deal: what is it and what happens next? What will a deal solve?